An amber-drenched, woody oriental fragrance with a tantalizing, delectable heart, Noir Extreme dares to make a more extravagant gesture by pushing Noir's themes of refinement and seductiveness to their edges. Every aspect of the composition is intensified to capture the totality of a man's impeccable outer expression and his alluring inner nature. 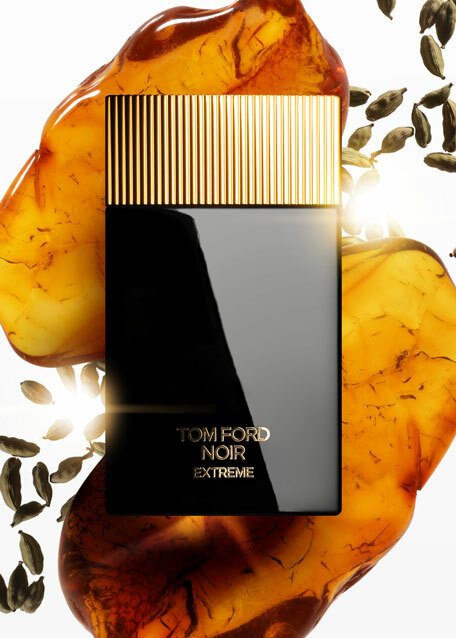 Tom Ford Noir Extreme opens on a devastatingly rich blend of spicy heat and glowing citrus. Dextrous brushstrokes of mandarin oil and neroli oil North Africa Orpur® provide sharp contrast to the vibrant, synergistic blend of saffron, cardamom and nutmeg. This creates the charismatic aura of a man who is accustomed to making an extraordinary impression. At the heart of the fragrance is tantalizing Indian Kulfi an accord inspired by the ancient royal concoction prepared for 16th century mughal emperors. This milky creation, which traditionally consists of himalayan snow combined with hints of pistachio, is delivered unexpectedly into the core of the fragrance via lentisque resinoid, which is chosen for its crisp, cool, yet lactonic effect. An array of floral notes rose absolute, jasmine accord and orange flower radiate like rare gems on virgin snow. This heart gives noir extreme its exceedingly desirable, yet tantalizingly unknowable, attractiveness. A woody, amber-drenched impact defines the dry down, where an extreme amber dosage silhouettes the other background notes like dusky sunlight. This addictive amber cushion is studded with elegant sandalwood and a melting vanilla ember, enigmatically sustaining the gem-hard masculine fire. 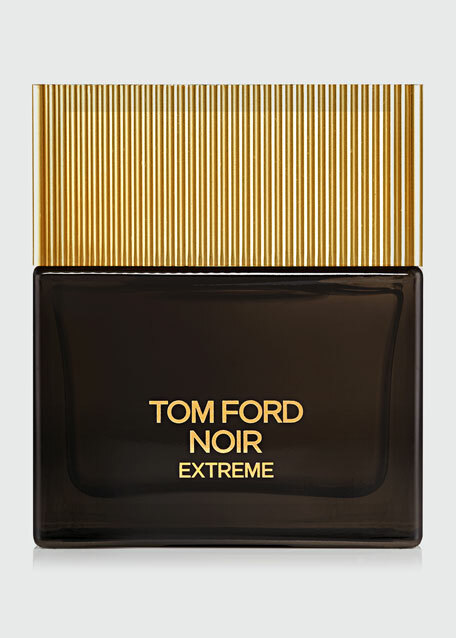 It captures the aspect of tom ford that revels in sensuality and hints at the carnal hedonist beneath the bespoke suit. Layer your fragrance with All Over Body Spray for a more sensorial experience.